Recently RFcnn.com, a famous brand of high quality RF products, has unveiled its new selection of RF cable connectors. Recently RFcnn.com, a famous brand of high quality RF products, has unveiled its new selection of RF cable connectors. Additionally, the company has launched a big sale for all durable devices. The aim of the promotion is to attract more clients. “We are proud to announce our new collection of RF cable connectors. At the moment, each item is provided at a discounted prices, up to 30% off. It is necessary to mention that the special offer is not valid every day. For those in need of top quality RF cable connectors at affordable prices, they are encouraged to take advantage of the great opportunity,” the development manager for the company says. According to the development manager, the company’s connectors are wonderful items. They are convenient and easy to use. 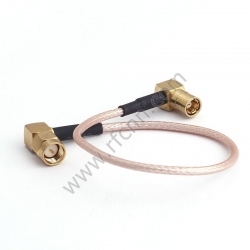 Owing to the huge demand for such kind of products, the top designs from the company are now preparing for another RF cable connector range. In addition, the company’s online representatives are always ready to answer any related questions. To meet the different needs and requirements of worldwide clients, the company also accepts OEM orders online. The company is working hard to simplify the shopping experience for customers. RFcnn.com is an online shop that sells high end devices. It is a China based company that aims to provide customers with high quality products at the lowest possible prices. Customers can try the company’s products through sample orders, with a long-term contract. Most customers quickly return after receiving their first deals. 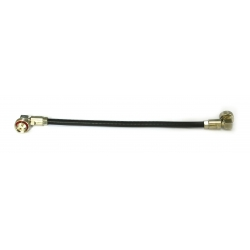 More information about the company’s products can be found at http://www.rfcnn.com/DIN-Male-to-Male-Right-Angle-Cable-Assembly-69.html.